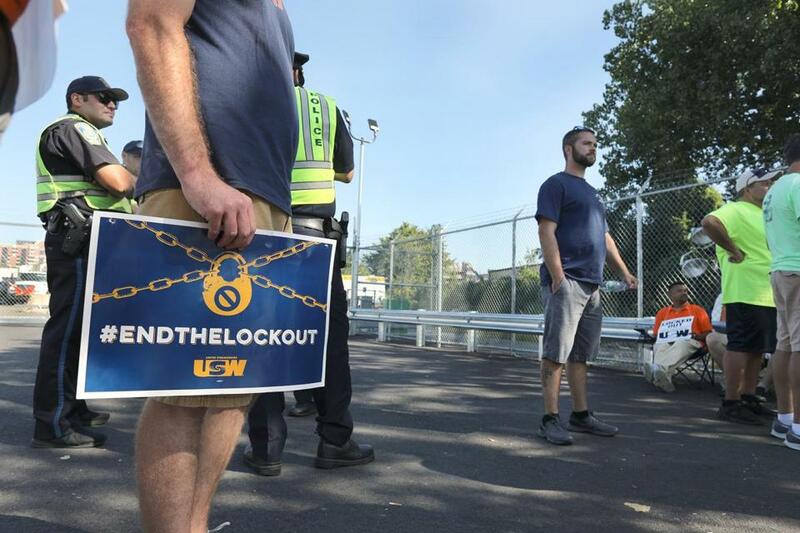 Locked-out workers picket outside the National Grid gas facility yard at 100 Commercial Street in Malden. Thousands of individuals across the Merrimack Valley are going to be without heat or gas to cook with for weeks longer than they need to be for one simple reason: National Grid would rather break a union and make more money than ensure that Massachusetts can safely restore gas service. There is no other explanation for the simple, stark, and appalling fact that nearly 1,300 experienced professional gas workers are locked out of work while the people of Lawrence, North Andover, and Andover worry if they will be able to celebrate the holidays in their homes. Think about it: A cruise ship is docked in Boston Harbor to provide housing for 1,300 gas workers who are being shipped here from other parts of the country to fix the dangerous mess that Columbia Gas created in the Merrimack Valley. Simple fact: Experienced professional gas workers are desperately needed. Simple fact: The men and women who know those gas lines, who normally would be the first ones in to make these homes, businesses, and schools safe again are sitting on the sidelines. Why? Because National Grid, a British corporation that made $4.8 billion after taxes last year, is using the lockout as a bargaining chip. National Grid doesn’t seem to care that Senators Elizabeth Warren and Ed Markey have demanded that our local gas workers be put back to work, as have members of the congressional delegation, the Attorney General, and mayors of more than a dozen of our cities. National Grid seems unbothered that our state’s Department of Public Utilities has said that the company’s use of lesser-trained replacement workers led to 29 safety violations since early July. National Grid also doesn’t seem to fully realize the risks associated with the gas over-pressurization in Woburn — a major incident caused by a replacement worker that affected more than 300 families. Massachusetts was lucky that it was caught before another Merrimack Valley type of explosion occurred. But do we really want to wait to see if it will be different next time? Is $10 million enough compensation for Merrimack Valley disaster? Columbia Gas is making a sizeable donation to help people whose homes have been destroyed or lives disrupted. But it’s also fair to ask: Is that it? Read: Mass. turned to oil and coal during the cold snap. Here’s what went wrong. Make no mistake, natural gas is dangerous and National Grid’s decision to lock out its most experienced workers is putting Massachusetts communities at risk. National Grid is playing Russian roulette with public safety. Meanwhile, Governor Baker and the DPU have the power to stand up for this state. Instead, they allow this British corporation and its lobbyists to keep our most experienced employees on the sidelines while we get a cruise ship filled with workers from Ohio, Pennsylvania, and New York. 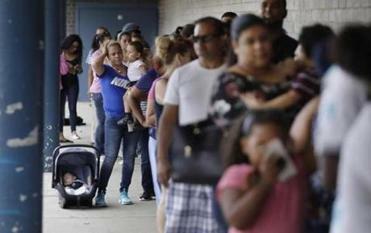 Because National Grid will not let the men and women of the Steelworkers return to work, the families of the Merrimack Valley will spend weeks longer than they need to in shelters, or cooking on hot plates, or living without heat. Because of the lockout, communities across Massachusetts are forced to rely upon lesser-trained replacement workers who should not be working on our gas system. Enough is enough. We don’t need cruise ships filled with out-of-state workers. We don’t need National Grid’s replacement workers making disastrous mistakes. We need to tell this gigantic British corporation to stop ignoring our political leaders and to stop risking public safety. No, National Grid did not blow up the Merrimack Valley, but as the weeks turn to months, it is increasingly responsible for every family that can’t cook a meal, can’t heat their home, and can’t trust that their streets and schools are safe. The company is to blame for what happened in Woburn. And it should also be held responsible for its decision to knowingly and continually place Massachusetts businesses and residents at risk with this reckless and irresponsible lockout. Let’s not rely on a corporation that lives 3,000 miles away to do the right thing. Even more important, let’s not wait for another tragedy to strike. It’s time for our state to stand up and demand that National Grid end this lockout. Steven A. Tolman is president of the Massachusetts AFL-CIO.